Fr. Jeff Eirvin was born in St. Louis, Missouri and relocated to Oregon in 1999 with his family. He graduated from Oregon State University with a Bachelors of Fine Arts (BFA) in graphic design and worked in the field of advertising prior to entering Mount Angel Seminary in 2005. In 2007 he began his theological studies at the Pontifical North American College in Rome where he received a Bachelors of Sacred Theology (STB) from the Angelicum and a License of Sacred Theology (STL) from the Gregorianum. On June 9th, 2012 Archbishop John G. Vlazny ordained him a priest at St. Mary’s Cathedral of the Immaculate Conception in Portland Oregon. Fr. Eirvin completed his studies at the North American College in June of 2013. His first parish assignment was as Administrator at Sacred Heart – St. Louis Parish in Gervais, OR. Fr. 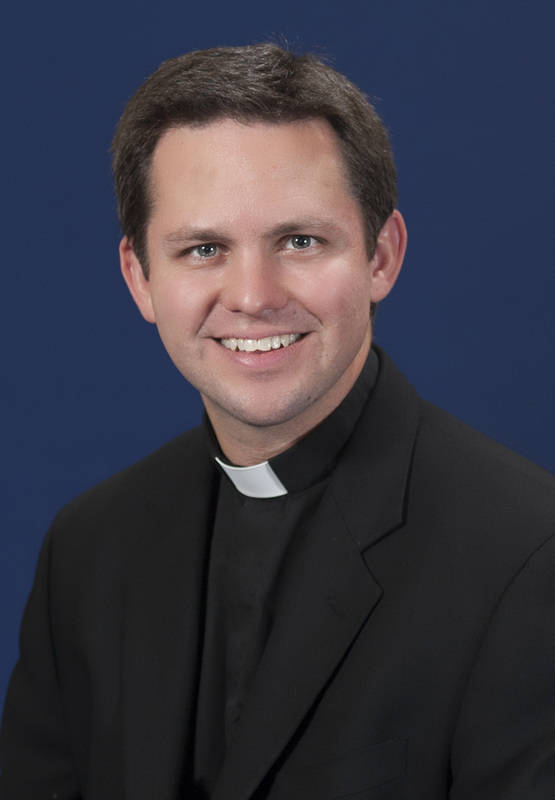 Eirvin was named Director of Vocations for the <a title="Jump to Portland Oregon Vocations" href="www.archdpdxvocations.org" target="_blank">Archdiocese of Portland</a> in July of 2014.